The Internet instantly gratifies your need to stay in touch. People today demand connectivity wherever we go, at home, at the office, in bars and restaurants, at the mall, on airplanes — and especially in the car. If your car supports it, the best solution is to use the Internet connectivity and Wi-Fi built into your car, since it gets the better reception than other mobile connectivity solutions. More and more car makers, such as Chevrolet and Audi, are designing cars with Wi-Fi hotspot capability. But even if your car doesn’t have Wi-Fi built-in, it's easy to bring connectivity to your car. One obvious solution is to fire up the Wi-Fi hotspot on your smartphone. This lets your passengers share your mobile data connection without an additional fee. However, the Wi-Fi hotspot feature rapidly drains your phone's battery, so you'll have to keep your phone plugged into a charger. Many phones time out their hotspot functionality if a device isn't connected, so you'll have to remember to switch it back on when you get in the car. And, if take your phone when you leave the car, anyone on the hotspot will be disconnected. 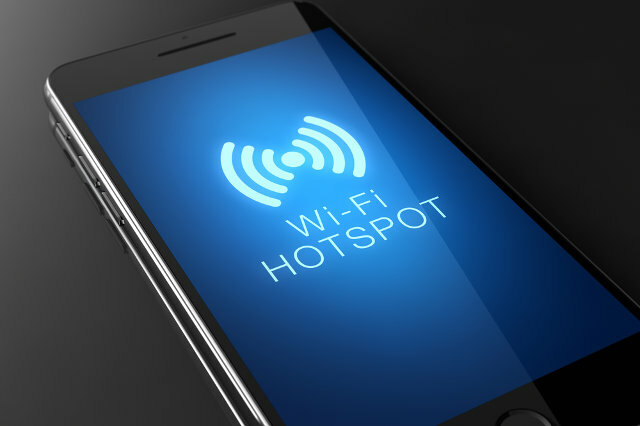 For a dedicated solution, invest in a mobile Wi-Fi hotspot (also known as mobile broadband). Not only will this spare your phone from the battery drain, but you can also use it anywhere for nonstop Internet connectivity anywhere you have cell network coverage — in the mall, at the beach, at the park, in the grocery store and, yes, in your car. Mobile broadband devices have a range of features and come in many shapes and sizes. For instance, this ZTE Velocity for AT&T ($149.99 on att.com) provides a wealth of information on its built-in display. Other devices don't have any display at all. Plus, some models, like the Huawei E5377TS-32 ($179.99 on Amazon) can use any SIM card from pretty much any network world, while the other models are locked to specific carrier networks (such as Sprint, AT&T, T-Mobile, Verizon and so on) and often come bundled with data plans from those carriers. Stand-alone data plan subscriptions cost as little as $20 monthly for 2GB of data on T-Mobile, $25 monthly for 2GB on AT&T, $35 monthly for 3GB on Sprint and $30 monthly for 4GB on Verizon. Vehicle Wi-Fi accessories and dongles provide a better, more permanent solution. Plugging one of these gadgets into your car’s cigarette lighter socket or the Onboard Diagnostic port (OBD-II) ensures your vehicle will always have Wi-Fi connectivity. Sprint’s Alcatel Ride-Fi draws power from your car's cigarette lighter socket and shares a single Internet connection with to up to eight devices. If one of your mobile devices runs out of power, you can charge it via the Ride-Fi’s USB port. The device itself costs $168, and a monthly data subscription costs $35 for 3GB of data. The ZTE Mobley on AT&T goes into the OBD-II port of your vehicle, so make sure your car has one before you buy; if your car was made in 1996 or later, it most likely has an OBD-II port. The Mobley shares with up to five devices. The device costs $99. If you have an existing subscription with AT&T, you can add it to your Mobile Share Data plan for $10; otherwise, you can subscribe to AT&T’s DataConnect plan ($30 monthly for 3GB). 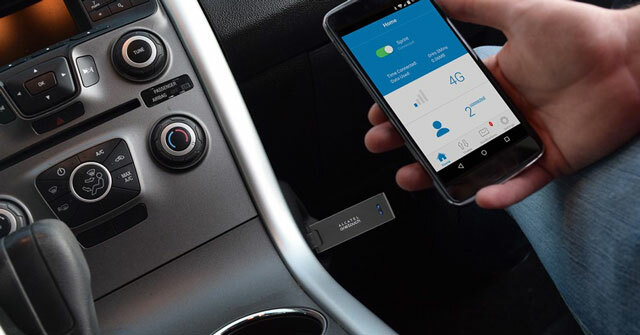 Get both Wi-Fi connectivity and car diagnostic monitoring in one device with the Zubie + In-Car WiFi. The device monitors your car's performance and provides Internet connectivity through Verizon. The device costs $99.95 plus a monthly access fee of $10 if you have a data plan, or you can subscribe to a Verizon data plan, starting at $30 monthly for 4GB. In-car Internet connectivity is not an unreachable star even if your vehicle doesn't have built-in Wi-Fi features. Your smartphone, a portable mobile broadband device or a car Wi-Fi dongle can link up your vehicle to the Internet and help you and your passengers can stay connected to the rest of the online world while you're on the road. WiFi capability is really beneficial for those who need to get work done while on the go. However, the mobile technology could pose safety threats for some drivers. This might occur when they use the wifi while driving and increase the risks of road accidents. Can I install WiFi in my car with no monthly payments, just a one time purchase fee. I have no cell phone, just a notebook. I don’t know of any service that would provide you unlimited data for a onetime purchase fee. Anyone is going to either charge you monthly or give you a set amount of gigabytes for a onetime fee. Appreciate your time thank you. Techlicious participates in affiliate programs, including the Amazon Services LLC Associates Program, which provide a small commission from some, but not all, of the "click-thru to buy" links contained in our articles. These click-thru links are determined after the article has been written, based on price and product availability — the commissions do not impact our choice of recommended product, nor the price you pay. When you use these links, you help support our ongoing editorial mission to provide you with the best product recommendations.